Systems of adoption have always been enmeshed with the goals of the religious. From the Orphan Trains of the nineteenth century, run by the Protestant Children’s Aid Society, which targeted the “slum” children of Catholic Irish and Italian immigrants (living immigrants, it should be noted; the “orphan” part of the name was a misnomer or, more likely, a lie), to the maternity homes of the twentieth century, so often run by the Catholic Church and targeting the newborns of unwed mothers. 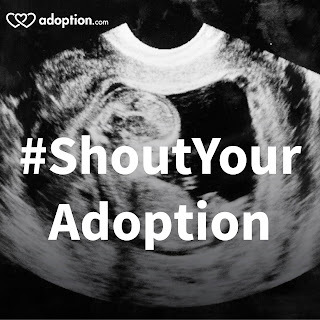 For each of these organizations (and countless others doing similar work), adoption has been alternately framed as a pathway towards religious redemption for parents who have committed the sin of non-marital pregnancy, or as an opportunity for salvation for children being reared outside of the true faith. 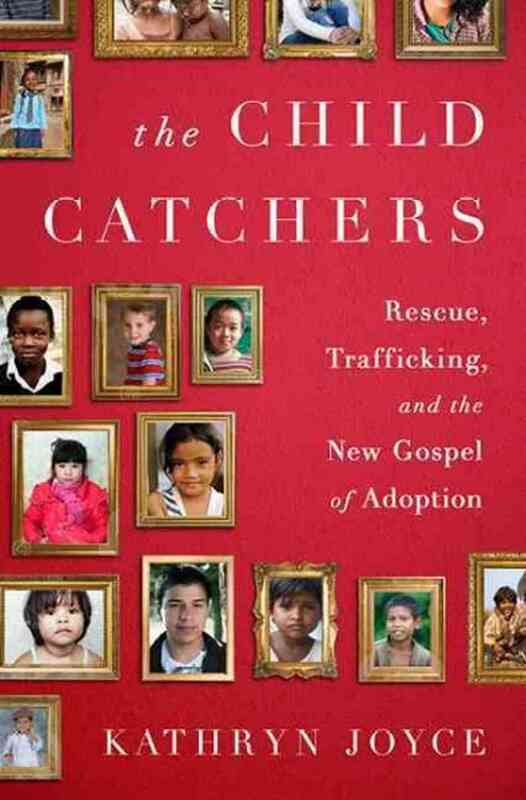 In her new book, The Child Catchers: Rescue, Trafficking, and the New Gospel of Adoption, author Kathryn Joyce disentangles the complicated relationship between contemporary evangelical Christianity and American adoption. This narrative of adoption as children rescue usually drowns out the more critical interpretation – that adoption is an industry drive largely by money and Western demand, justified by the misguided savoir complex that blinds Americans to orphans’ existing family ties and assumes that tickets to America for a handful of children are an appropriate fix for an entire culture living in poverty. This narrative is only strengthened, of course, when it is framed as a religious mandate, as part of God’s will for individual children, families, and society as a whole. After all, if God wants this to be, well then all the endemic problems are merely details, and there is no room to questions the means, let alone the ends. The Christian evangelical embrace of adoption is rooted in history, in politics, in gospel, and it cannot be separated from the overarching goal of evangelicals – not to grow families, but to grow the body of the church. Adoption is not just a way of preventing abortion or helping children in (dubious) need, but a way of creating more Christians. 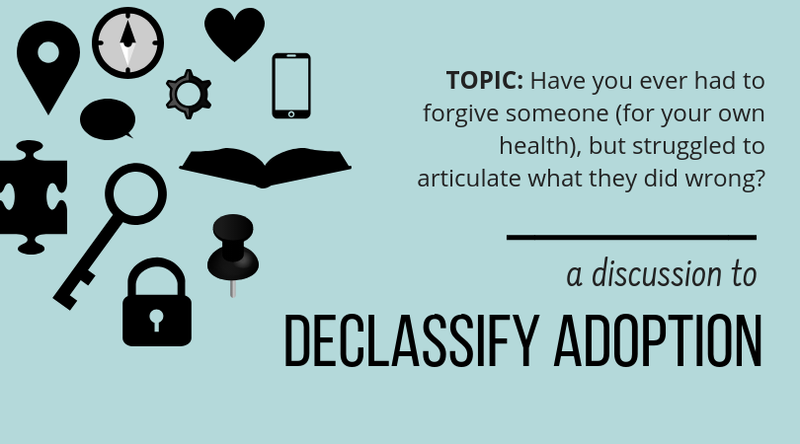 This paradigm fundamentally alters the purpose of adoption,. Unmarried expectant women are called “selfish” for wanting to parent. Organizations like UNICEF, that support family preservation before widespread international adoption, are framed as villainous by United States senators. The message is clear: if you question the motivations for or system of adoption, or if you go so far as to stand in the way of an adoption, you are attempting to thwart God’s plan. As this increasingly becomes the context in which adoption is understood, it becomes impossible challenge the many problems that Joyce expertly lays out – and yet, all the more important to do so. The Child Catchers by Kathryn Joyce, is available today. 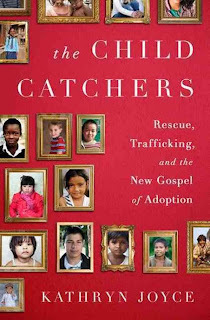 You can find a preview in “Orphan Fever:The Evangelical Movement’s Obsession with Adoption” and hear Joyce discuss the issue on NPR’s Fresh Air. 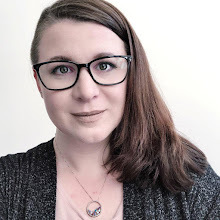 Gretchen Sisson is a sociologist and researcher focusing on issues of economic and reproductive justice, especially teen pregnancy and young parenthood, infertility, abortion, birth, and adoption. She currently works at ANSIRH at UCSF, and serves on the Board of Directors of Backline, a free talk line providing support for experiences related to pregnancy, parenting, abortion, and adoption. Follow Gretchen @gesisson on Twitter.